With the shortest month of the year out of the way, it’s time for another roundup of what’s been happening with Team Primrose. It’s been a pretty uneventful month, all things told. We were pretty big home bodies; but then again, winter is a time of hibernation, right? Even with Spring in sight (the boys were born on the last day of Winter, after all), the foot of new snow on the ground tells us otherwise. 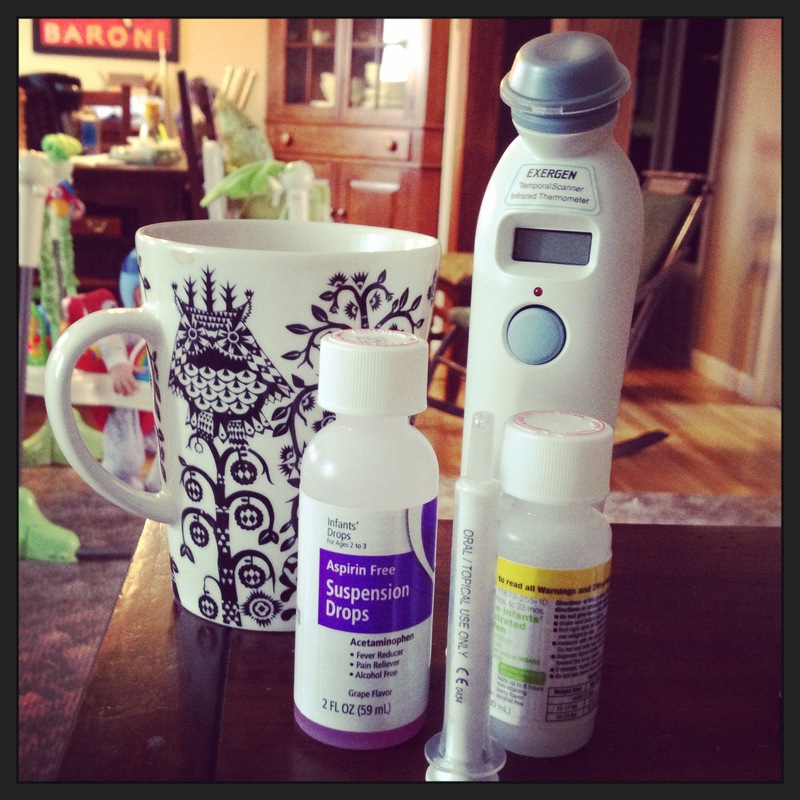 How parents survive a day with sick kiddos: Tylenol, Ibuprofen and coffee. 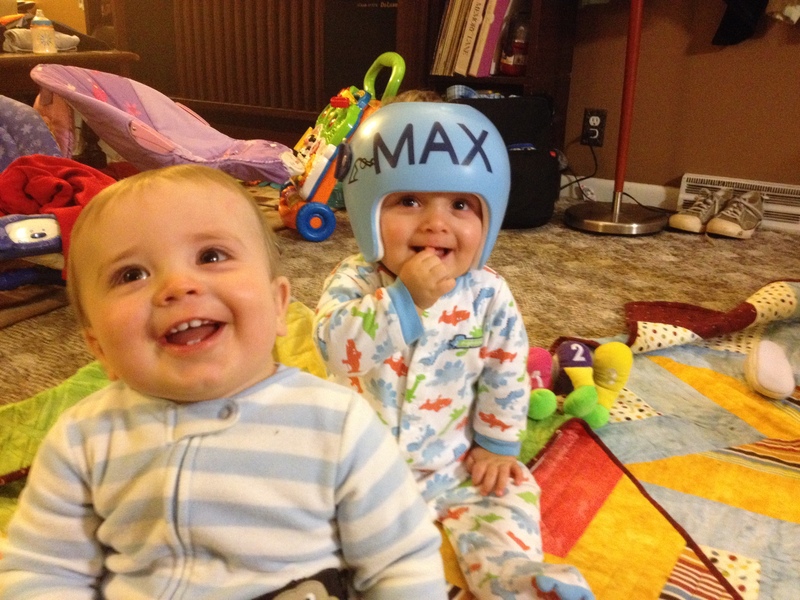 Hanging out at the Orthotist’s office on the day Max got his helmet. 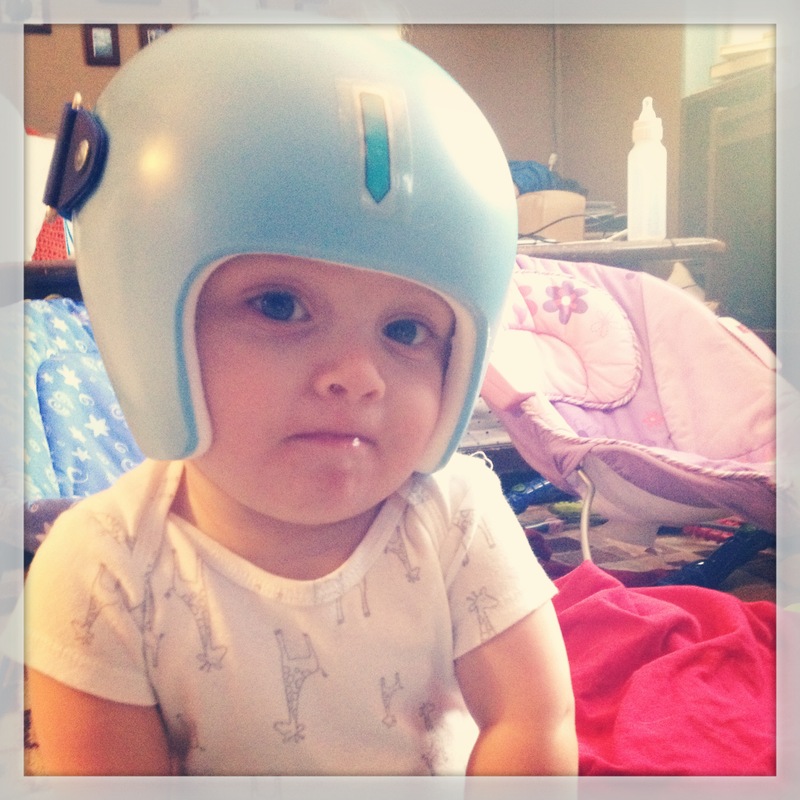 First day in the helmet. Arrow sticker has since been replaced with much cooler stickers. Look at those teeth! Max is much more elusive in showing off his pearly whites. 12+ month clothes include a lot plaid shirts. 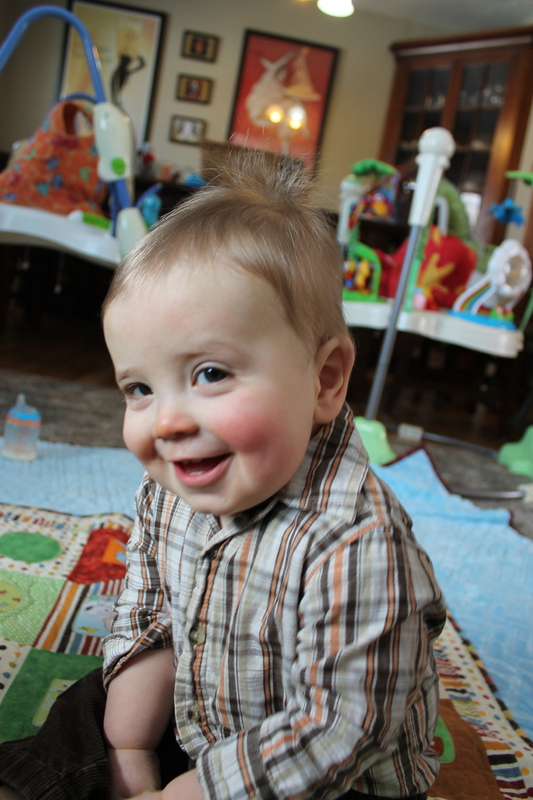 Oh man, I love babies in plaid. 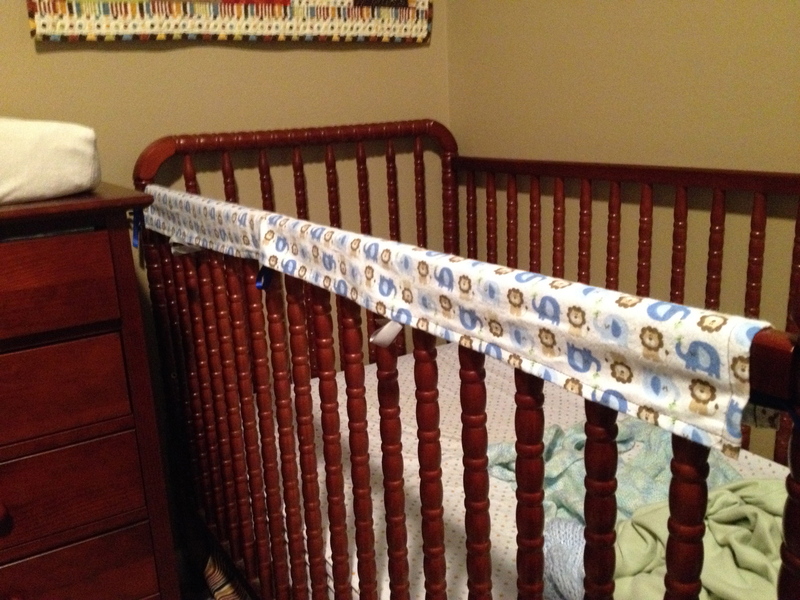 Crib rail protectors. The crib must be protected from Sully’s eight teeth. New way to display Grandma’s quilts. 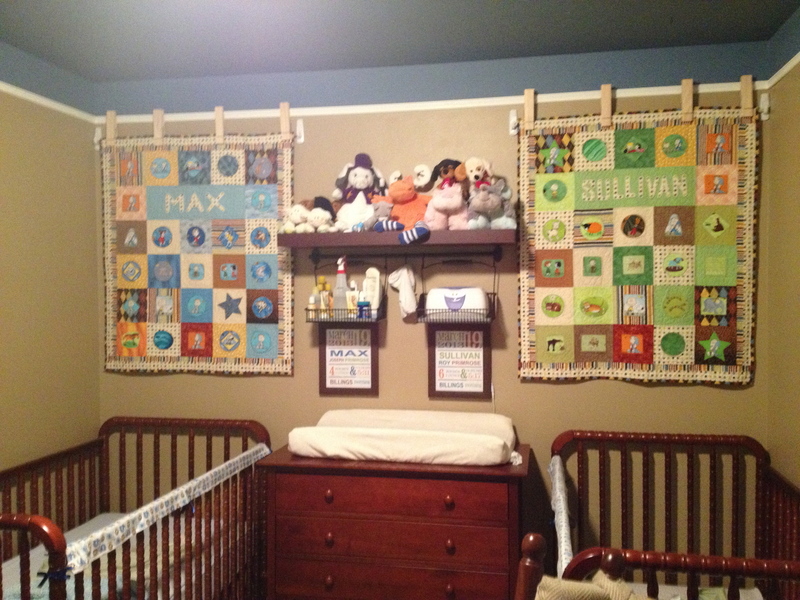 I’ll post better/more pictures in my Nursery 2.0 post. 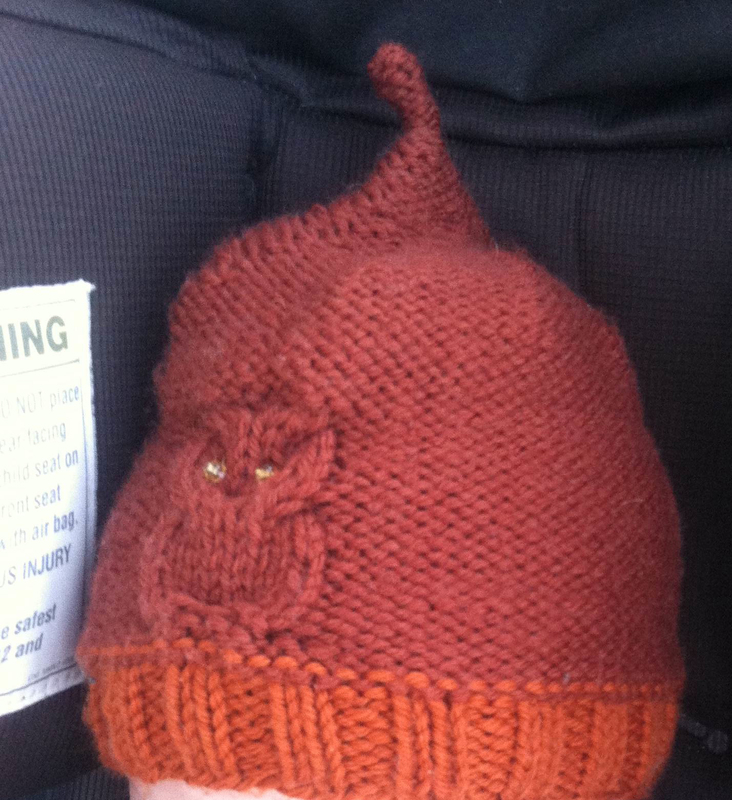 Owl beanie for Mr. Cy. His momma loves owls, so of course he needed a hat with an owl on it. Great picture of the three of you waiting in the orthotist’s office. I’m looking forward to seeing your Nursery 2.0 post. And I love the owl beanie!